The CRA has set rules for how you can claim vehicle expenses. Often, clients will not keep good vehicle records, and then an estimation is done for their tax purposes. However, if you are audited, CRA will refer back to their own legislation on how to assess your vehicle usage, so it is important that you know what that usage is, and how to properly document it. See here for a link to the CRA website. One of the best circulars that we have seen published is one by Taxperts Corp out of Toronto. They have simplified the tax information regarding vehicle logging. Logbooks must be kept for “passenger vehicles” which is defined as a vehicle carrying up to 8 passengers. You must keep a “full logbook” for a period of one year to determine a “base” proportion of business use. Each trip must include a) the date; b) the departure and destination addresses; c) the purpose of the trip; and d) the exact distance driven to the tenth of a kilometer. This requires a date, a street address from which you depart, an arrival address, an entry for the odometer reading at the start and end of a trip, the distance driven PLUS an explanation as to the purpose of the trip. A nightmare. 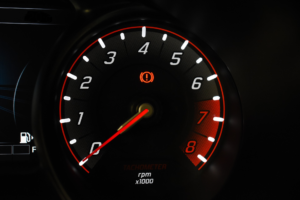 You must do an odometer reading at the beginning and end of each 1-year or 3-month period. Record the dates and odometer readings if you change vehicles. The “full logbook” will give a ‘base year’ percentage. Any subsequent 3-month logging must be within 10 percentage points of the full year ‘base’ percentage. A “simplified logbook” in any subsequent year requires you to log only for any 3-month period which you choose. Pick the quarter February through April OR March through May as these busy periods will give the highest business proportion. You need not track your driving for the remaining 8 months of the year but can use the Odotrack computerized expense feature to record business dinners and events and gifts for that 8-month period. These latter expenses are the most commonly challenged on audit. To get the business proportion as set out in your “Detailed Vehicle Expense Schedule” you need to keep full and adequate receipts and vouchers for vehicle expenses and keep an automobile logbook to preserve a high proportion of business driving.